The lazy box is back! He can sleep everywhere and at any time. Your task is to wake him up, it is not so easy though! 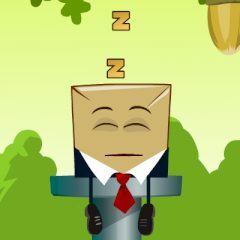 Attach given objects in places where you think they should be in order to help you wake up the cute snorring box!